Lose the others that do not listen to you.. Trust yourself and do not listen to others who are naive they will try to abuse you because they do not feel good about themselves, they are who you can’t trust. Allow yourself to love but do not allow others to abuse your love, deny them and do not trust their heart, do not follow mistrust. 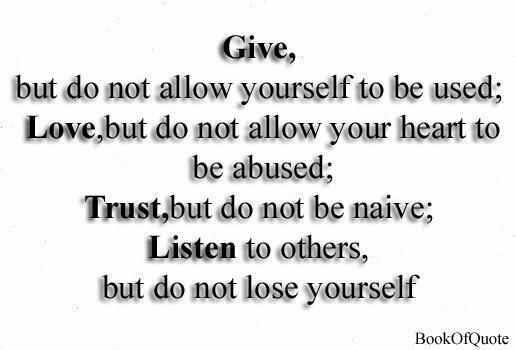 You have yourself & you love you and have a good heart, give to yourself before you give to others who mistrust..
→ Words to Live by..